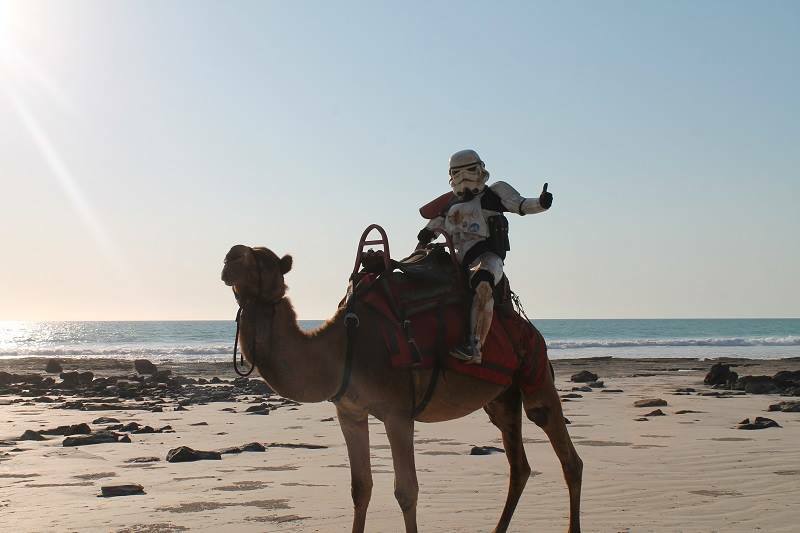 He didn’t know it at the time, but when a nine-year-old Scott Loxley first saw stormtroopers (or sandtroopers, if we’re being precise) walking across the deserts of Tatooine in 1977, he was seeing a glimpse of his future. 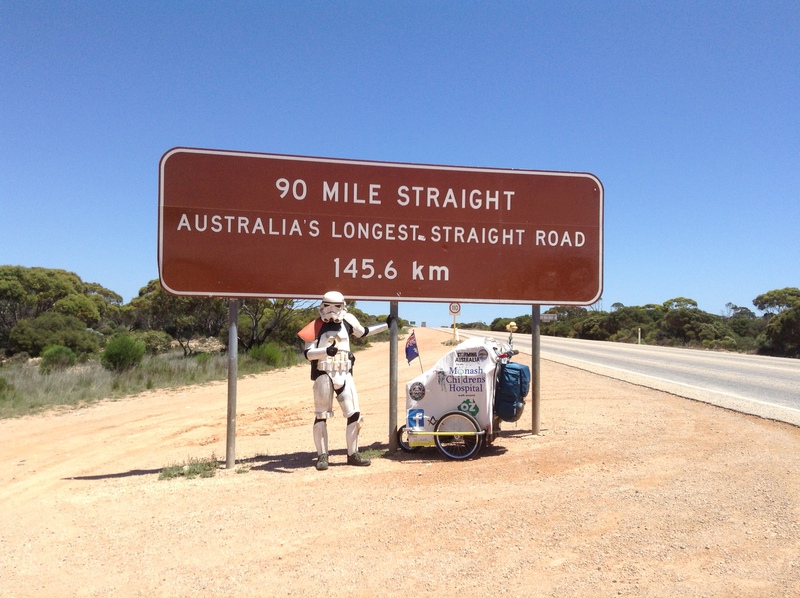 Thirty-six years after watching Star Wars at the local drive-in with his parents, Loxley decided to combine his love for a galaxy far, far away with a lifelong ambition to cover the breadth of Australia on foot. 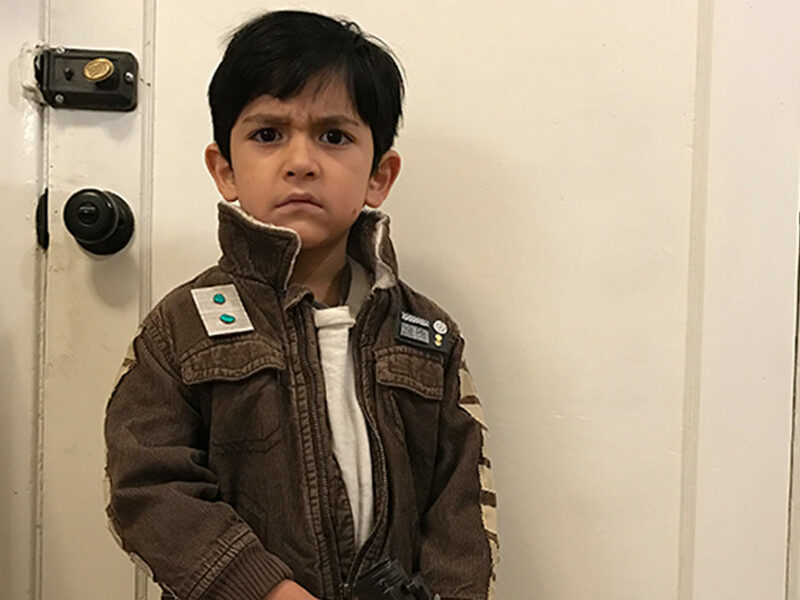 “At the time there was nothing like it, so it’s one of those movies that make a large impact on you,” said the 47-year-old Melbourne resident and father of three. 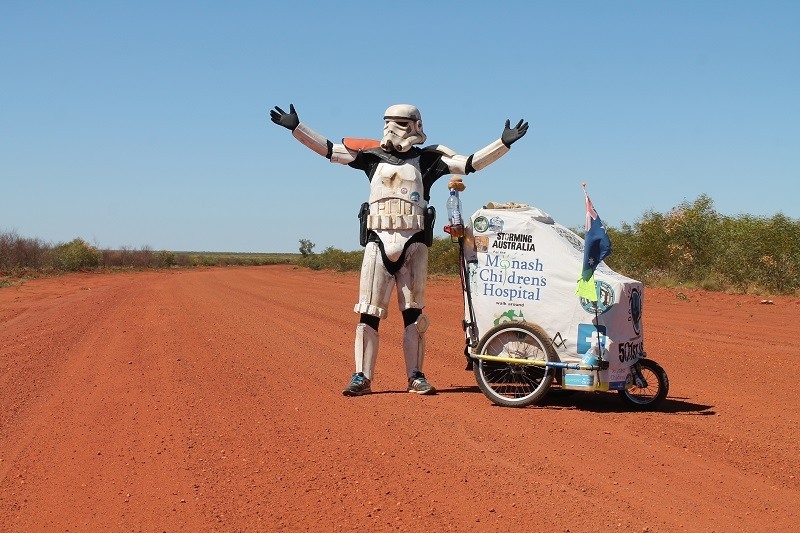 After leaving the Army in 2011, Scott put an ambitious plan in motion that would see him walk across the expanse of the country in his stormtrooper armor in an effort to raise $100,000 for Melbourne’s Monash Children’s Hospital. 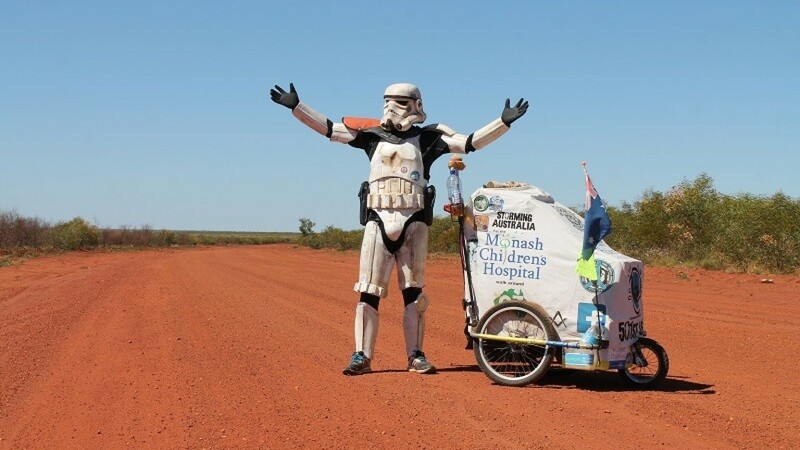 A whopping 601 days and 15,000 km (9,320 miles) after he set off on November 2, 2013, StarWars.com spoke to Scott about the highs and lows of doing what surely must be the world’s toughest — and longest ever — Imperial March. StarWars.com: So when did you acquire your very own stormtrooper armor? 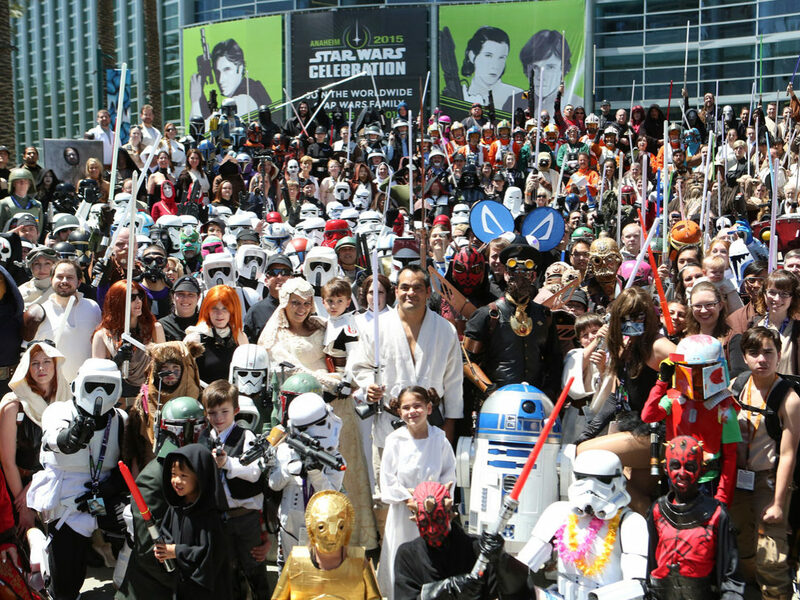 Scott Loxley: My daughter wanted to go to Oz Comic-Con in Melbourne in 2012 when she was 12, and that’s where I saw the 501st Legion for the first time. I spoke to some of the guys there and they told me about the charity work that they do, and I could tell they were in it for the right reasons. So my daughter said, “If I do a costume Dad, will you do one with me?” I thought that was a good way for us to have a bit of fun together, so it grew from there. She chose to get a Jawa costume and [I] picked a stormtrooper for myself, so I got in touch with the 501stand got myself a suit, and soon enough my daughter and I would go and do events here and there. She’s 15 now and she’s too cool for school, so she’s left me holding the bag so to speak! [Laughs] But it’s been great. StarWars.com: Where did the idea to walk around Australia come from? 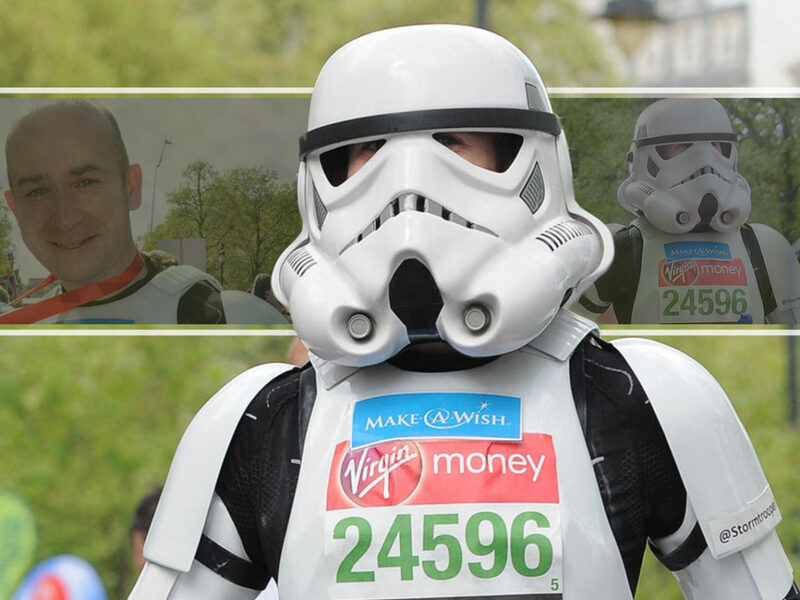 Scott Loxley: It’s something I’ve always wanted to do, so doing the charity walk for the 501st just seemed to make it fit together really nicely. One of the 501stmembers worked for the Monash Children’s Hospital, so it was a pretty easy choice to raise the money for them. They don’t get the big donations like some of the other hospitals, so it was good to help the little guy out. StarWars.com: What planning was involved? Scott Loxley: It took a number of years. It was all self-funded, so I was continually putting money aside. Then myself and the 501st guys had some meetings with the people at the hospital and figured out the whole thing — what route I was going to take, what food supplies I was going to use, what communication I would bring, stuff like that. Next thing you know we picked a date, called it “Storming Australia” and off I went! Scott Loxley: The starting point was Melbourne, so I left there and walked down to Tasmania and all around there, then came back to Melbourne. From there it was on to Geelong and the Great Ocean Road, through Warrnambool and into South Australia, through Mount Gambier then up to Adelaide, Port Augusta, and Ceduna. From there, across the Nullabor to Norseman, then on to Kalgoorlie and inland to Perth, then up the West Coast of Australia to Broome, then inland to Katherine. Then up the Stuart Highway to Darwin, then back down the Stuart Highway and eventually across to Mount Isa, then onto Townsville. And then it was the East Coast: Brisbane, Sydney, and then back to Melbourne! StarWars.com: That’s quite an epic journey! Was it difficult to see through? Scott Loxley: It’s one of those things that seem like a good idea at the time, then you actually start doing it… mate, it was so hard. It was 15,000 km — it was always going to be a task, that’s for sure. You go over it that many times in your head and you plan it and you plan it and you plan it, but the reality when you’re out there is completely different. You don’t know what you’re getting into until you’re doing it, and by then it’s too late. You either do one of two things: stop, or keep going. It’s the hardest thing I’ve ever done on my life. StarWars.com: What helped you to get through the tough periods? Scott Loxley: I had days where it was ridiculously hot — two weeks of 45°C plus heat (113°F), and you’re just whining and complaining because it’s just so hot. But then I’d think of the kids in the hospital who would probably swap their worst day for mine, to do what I was doing. So, that would snap me back into reality, and the next thing you know you’re walking again. StarWars.com: What were some of the toughest stretches? Scott Loxley: I had some hard times heading up to South Australia across the Nullabor where it was 50 degrees coming off the road. I spent a few months walking at night because it was just too hot during the day. At worst I was eating every second day and drinking 600 ml of water a day — I’d have a sip every 10 km (six miles) and try and store my rations! I went from 95 kg down to about 65 kg. When you do something like this, you endure and you suffer. Through the pressure of walking, all of my toenails fell off. There are times when you mentally start doubting yourself and think, “What am I doing this for? No one cares, I’m wasting my time.” About half a dozen times I’d stop on the side of the road and think, “You know what? I’m done. I’ve had enough.” Then I’d realize I was two weeks from anywhere, so after I’d had a bit of a dummy spit I’d get back into it, and on goes the suit and I’d keep walking. StarWars.com: Did you wear the helmet most of the time? Scott Loxley: When it started getting ridiculously hot I didn’t, and at one point there was a plague of flies and they’d get up in the helmet and it just drives you insane, and next thing you know you’re swallowing flies! So when that happened the helmet came off and the hat went on. I wore everything else, but sometimes the helmet came off! StarWars.com: And you went through about 30 pairs of shoes? Scott Loxley: Yeah! Nothing lasts because you’re constantly walking on asphalt and rocks and you get tired and you start dragging your heels. Next thing you know you’ve got holes in your shoes! At one point I got some tire rubber from the side of the road and cut it out to match the soles and wired it to my shoes. I wore those for about 8,000 km (4,971 miles). They were heavier, but you can’t beat compound rubber off a car tire! They did the job. StarWars.com: What kind of reaction did you get from people along the way? Scott Loxley: I was in Queensland in the middle of nowhere. You’d see plenty of dead snakes. I’d eaten about close to 30 snakes on that journey, and I saw a snake I thought was dead and it wasn’t until I got right beside him that I saw his head rear up, and thought, “Not dead!” So he’s come around and bit me on the back of my calf muscle. I realized it was a King Brown and it had the highest output of venom of any snake in the world — up to 150 mg per bite — and I thought, “I’m gone.” I moved left, he’d move left. I moved right, he’d move right. It was a really aggressive snake. So I moved around the trolley and was waiting for the hot sensation of the bite to kick in, and I looked around the back of the armor and realized his teeth didn’t penetrate the plastic. There were a lot of bite marks because the King Brown’s likely to bite you and grab on and chew as they pump venom into you. If it got me the only thing I could’ve done is sit under a tree and go to sleep, and if I woke up in the morning then great, and if not, well, that’s the end of the walk! I was really lucky. 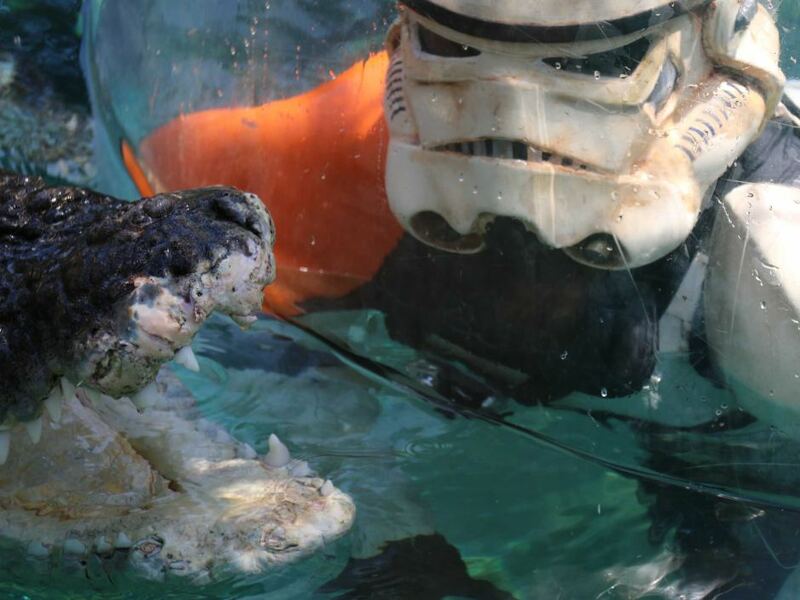 StarWars.com: Accidentally coming across snakes is one thing, but you actuallychose to swim with a crocodile when you were in Darwin! Scott Loxley: I did! I had the opportunity to go in a tank with what I think is the third biggest crocodile in the world. 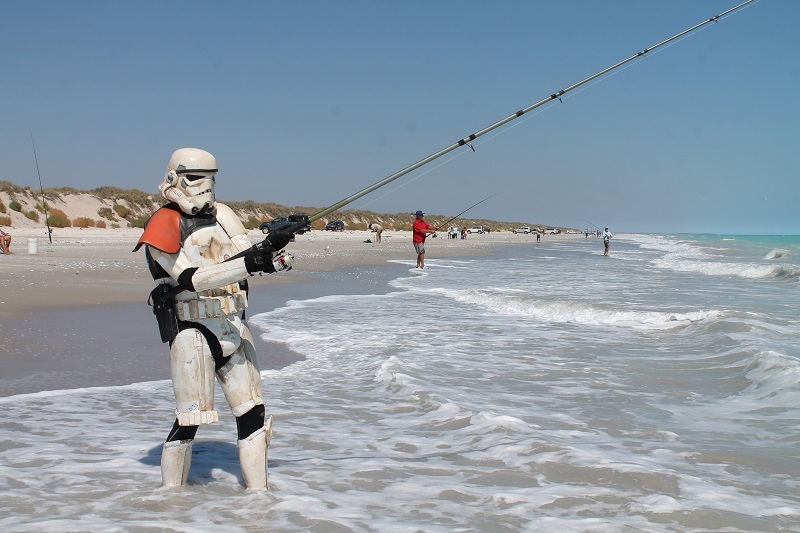 So I jumped in the tank with my stormtrooper armor on and had a swim! That was a bit of fun. I did a lot of stupid stuff along the way, just to have a bit of fun with it! StarWars.com: So when did your journey reach its conclusion? Scott Loxley: June 15, 2015, so all up it took just under two years. I thought I could do it in a year, but I was wrong! From start to finish it took 601 days, and of those about 430 or so were me walking, not resting or fundraising. But it was all worth it — I’d get nice letters from the kids at the hospital saying, “We love what you’re doing.” So how could I stop? And I’d try and post daily video blogs so that the kids got a chance to see Australia through my eyes — kids who can’t leave their hospital room. StarWars.com: And did you hit your fundraising goal? Scott Loxley: I did! I was really stressed I wouldn’t hit my fundraising goal of $100,000. I’m very results driven, so if I hadn’t hit that figure I would’ve seen the whole thing as an epic fail. I spent every waking moment figuring out how I could raise that money; it was hard. 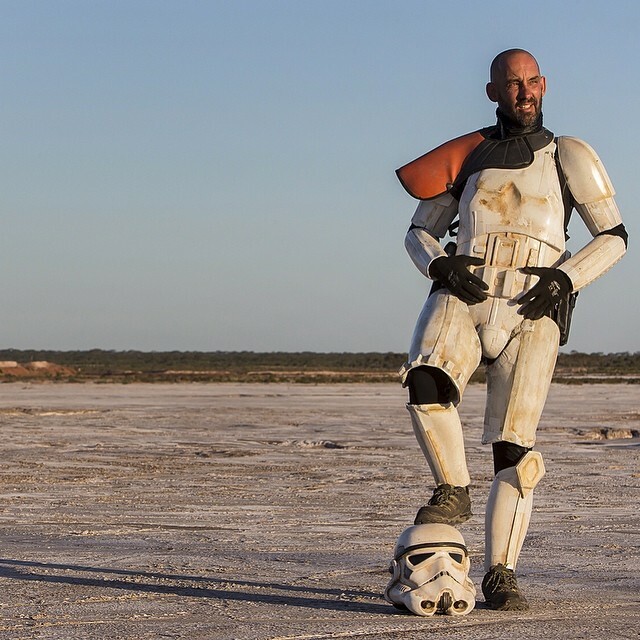 But every time I got to a roadhouse on the Nullabor I’d get there in the morning in my stormtrooper armor and sit there all day and I’d make a lot of money. You’d take any opportunity to shake that tin. At one point I was carrying around 30 kg worth of coins! But right now the total is over $110,000, but we’ll be close to $115,000 shortly. People can still donate, so the number is still rising. It’s fantastic! StarWars.com: Now you’ve achieved your goal, what’s up next? Scott Loxley: When I was out there doing it, it felt like it was taking forever. Now that I’m home, it feels like it happened in the blink of an eye! It’s a funny thing. It’s good to be home though — I got married a week before I started the walk, so it’s good spending time with the wife now! But I do feel myself pacing around a lot, still trying to find my feet. I had a routine of up at 4 a.m., on the road by 5 a.m., walking 10-15 hours and doing that day after day, so now going to bed at a normal time is hard. I still wake up way too early! But I’m really happy I did it, we got there in the end. And my marriage survived too, which is even better. It was good to get home and find she was still here! 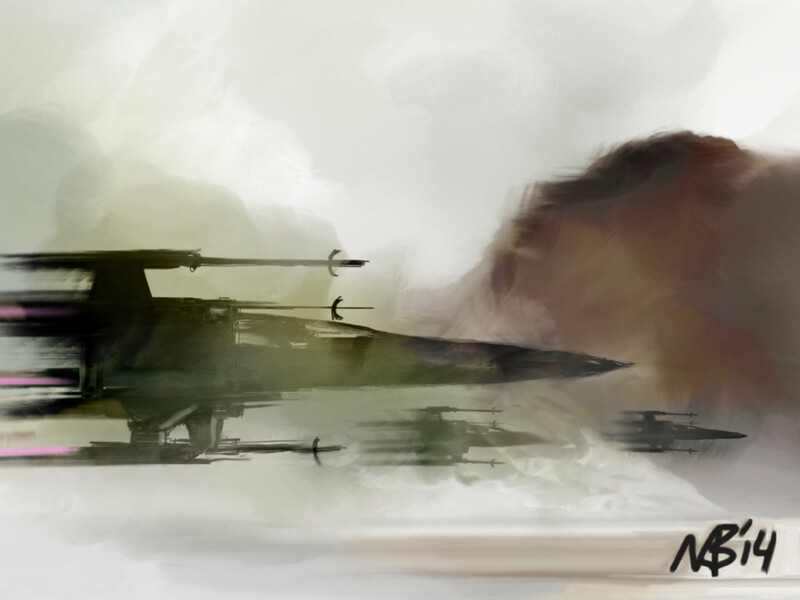 StarWars.com: Are you looking forward to seeing Star Wars: The Force Awakensin December? Scott Loxley: I am! It should be really, really good. I’ve heard nothing but positive things about it, and the rest of the 501st guys are pretty excited. It should be a fun time! Scott Loxley: Yeah, and it looks pretty good so I’m probably gonna have to get me some of that to replace my current armor, which is now held together by tape and completely useless! To support Scott and donate to the Monash Children’s Hospital, please visit their official site. James Jennings writes for the Australian editions of Empire and Rolling Stone and still has a substantial amount of vintage Star Wars toys stashed at his parents’ house, much to their chagrin. He takes great joy in using his Han Solo in Carbonite bottle opener and can be found on Twitter at @JJTron2000.